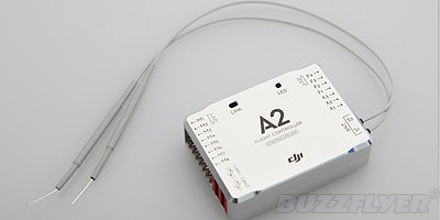 The interior sensor of the A2 IMU has been upgraded comprehensively, and with higher accuracy performance, larger measuring range, and a unique damping design and calibration algorithm, the IMU is able to provide stable output even with high vibration and a large movement environment. 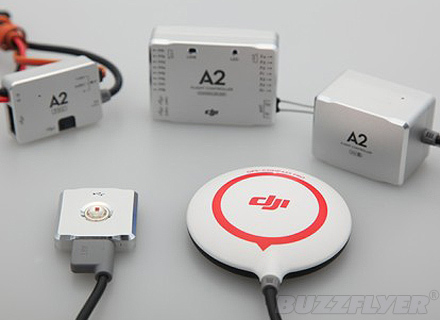 With the DJI innovative damping structure and material, it is unnecessary to install cushioning, you simply stick it on the frame. 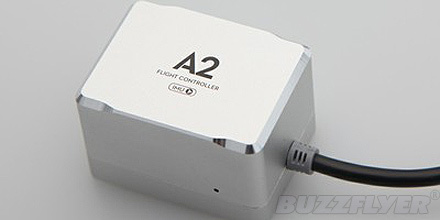 The A2 has a built-in 2.4Ghz Radio technology DESST receiver system, which supports the Futaba FASST transmitters.